If a pool is left unattended in the winter months, the water turns into murky pond water. But what exactly can be found in this water? Microscope World recently got a sample of some murky pool water and put it under a Motic BA310 microscope to see what types of creatures were swimming around. Ciliates (Protozoans) found under the microscope. 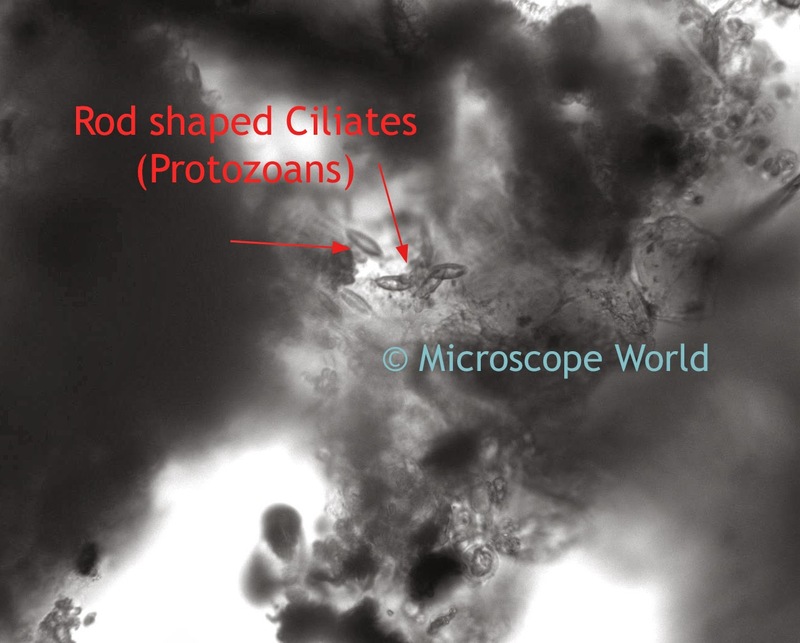 The small pointed rod-shaped items are Ciliates, a group of Protozoans characterized by the presence of hair-like organelles called cilia on them. The image above was captured using a 2 mega pixel monochrome Lumenera Infinity 2-2 CCD microscope camera.